Picture caption: Do not miss out on the chance to start the countdown to Christmas in style tonight. Stars from the TV Show X Factor and sporting heroes are all set to appear tonight at this year’s fantastic Leeds Lights switch-on. In what promises to be another night to remember from 7pm, last year’s X Factor winner Sam Bailey will be taking to the stage and be joined by former X Factor finalists ‘G4’ and Yorkshire boy band ‘My Forever’. Organised by Leeds City Council and Heart, with support from partners the Yorkshire Evening Post, special guests also set to appear include boxing champion Josh Warrington and Leeds United manager, Neil Redfearn. Also in attendance will be players from Leeds United and Leeds Rhinos, who will be joined by mascot Ronnie the Rhino with the Challenge Cup. Leeds is set to host two games in the 2015 Rugby Union World Cup, and Yorkshire Carnegie chairman Sir Ian McGeechan will also be present, as the city begins the countdown to Christmas in style. "The Leeds Lights switch-on is always a brilliant way for all the family to begin the exciting countdown to Christmas, and once again we have put together another fantastic line-up to entertain the crowd. "We are delighted that last year’s winner of the X Factor Sam Bailey will be performing on the night, while also set to take to the stage will be G4, My Forever, and sporting stars from Leeds United, the Leeds Rhinos, Yorkshire Carnegie, and champion boxer Josh Warrington." Hosted by Heart presenters Dixie, Emma and Rich Williams, an estimated 15,000 strong crowd are expected to be in attendance on Victoria Gardens, which will also include on the bill a special performance of the popular ‘Santa’s Show Time’ that will feature guests including Cbeebies ‘Lets Play’, presenter Rebecca Keatley, an array of characters from the popular ‘Harry Potter’ books and Breeze in Talent winner, George Hodgson. Disney movie ‘Frozen’ has continued to wow both young and old since its release in 2013, and fans will also be able to take part in a sing-a-long to its most popular hits as part of the festivities. 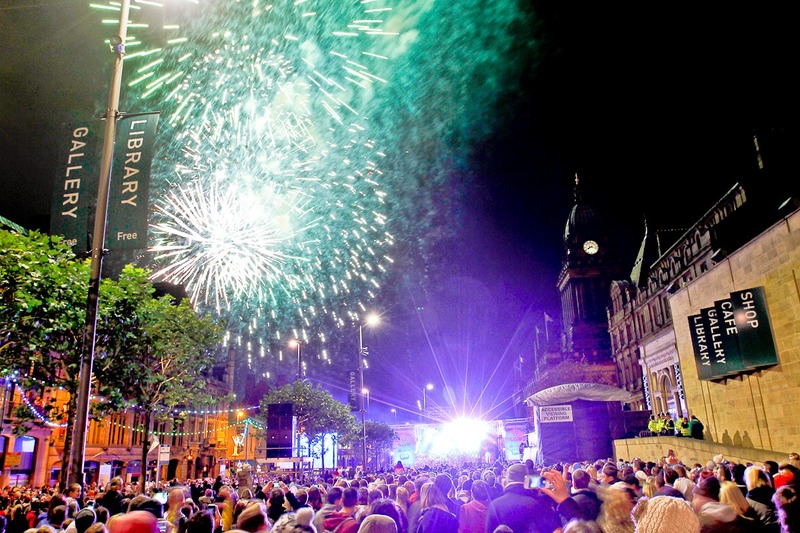 "I can’t tell you how excited I am to be on the stage, lighting up Leeds once again! "It’ll be great to introduce my co-host Emma to this fantastic show – which I know will be as big as ever with some great acts and entertainment!"